Viswanathan Anand scored 9.5 points while Magnus Carlsen retained his title after scoring 11.5 points. The three-day event concluded with Magnus Carlsen retaining the title. The Norwegian was at his best and was in trouble in just one of the 15 games that he played. Tallying 11.5 points with eight wins and seven draws, Carlsen finished a point clear of Ian Nepomniachtchi of Russia, Teimour Radjabov of Azerbaijan and Leinier Dominguez of Cuba who all scored 10.5 points each and finished second to fourth respectively. Anand scored 9.5 points in all and the reason was his mediocre results on the first two days when he scored just 2.5 and three points from five games apiece. On the final day, however, the five-time winner of the world crown was at ease in handling his opposition as he knocked down Polish Grandmasters Bartosz Socko and Mateus Bartel and Tigran Petrosian of Armenia besides drawing with Ildar Khairullin of Russia and Yuriy Kryvoruchko of Ukraine in the final round. Vidit Santosh Gurathi was the revelation of the tournament as he gained maximum points. The fast-improving Indian gained a whopping 105 points in rapid ratings with a brilliant performance, scoring nine points and finishing just a spot behind Anand. Gujrathi started the day by defeating Alexander Morozevich of Russia, followed it up with a win against Zoltan Almasi of Hungary and topped it with another victory against Pavel Eljanov of Ukraine. In the final round the icing on the cake was a fine draw with Levon Aronian, a member of the chess elite for over a decade. B Adhiban also did well to score nine points and his biggest scalp was Dmitry Andreikin of Russia in the penultimate round. In the final game, Adhiban held former world championship challenger Boris Gelfand of Israel to a draw. Among other Indians in the fray, Krishnan Sasikiran ended on eight points, S P Sethuraman recovered to end on 7.5 while Surya Shekhar Ganguly finished his campaign on seven points in all. The final leg of the five-day event will see all the stars in action at the World Blitz Championship. 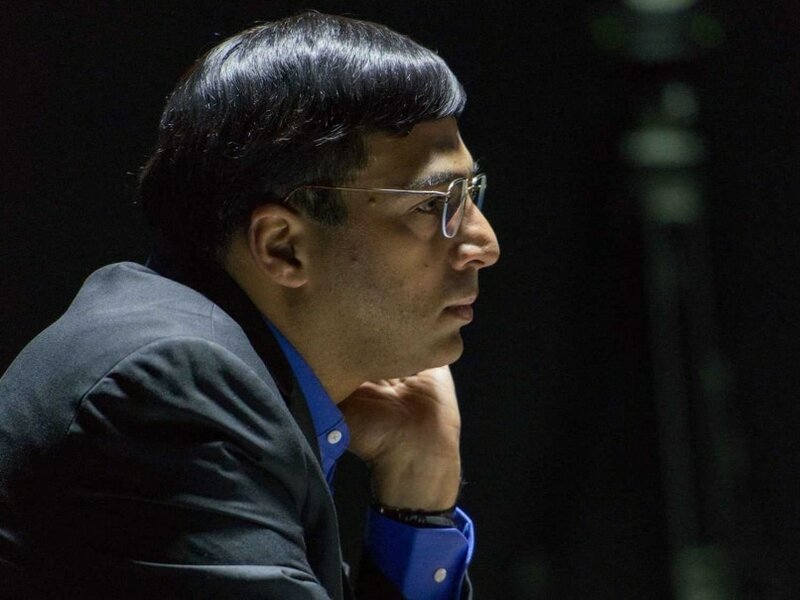 After winning the super-strong Poker Stars Chess tournament in Isle of Man, Grandmaster P Harikrishna is going to join the blitz championship that will be played over 21 rounds. After finding his form back, Anand is likely to be a front runner, but Carlsen again starts as a huge favourite to remain the world champion across all formats.